The Sunday Times Rich List was published this weekend and people were shocked to realize that the Queen is no longer in the top 300 – which is strange when you consider the fact that she was #1 on the very first list when it was published 26 years ago. So how and why has this happened? And what does it really mean? So – is this the beginning of the end? Are we going to wake up to see a For Sale sign outside Buckingham Palace? Will the Royal Bentley be replaced by a Renault Clio? Are we likely to find Her Majesty shopping down the local Lidl's rummaging through the bargain bin? For one thing her wealth actually increased last year by a full £10 million. This puts her total estimated wealth at £340 million putting her 302 on the list overall. Despite the economic crisis the rich, as should be no surprise to anyone, are getting richer – a lot richer. Altogether the combined wealth of the nation's richest has more than doubled over the past decade to a massive £547.126 billion. London still has the highest concentration of wealth in Britain especially as many foreigners flock to the capital to snap up prime property. Len Blavatnik; the Ukrainian born tycoon who made his fortune in oil and is now also the owner of Warner Music Group alongside his other oil interests and industrial assets. Len's wealth increased by £3 billion sending him from forth place last year to first place this year with estimated wealth of £13.17 billion. Another noteworthy billionaire oligarch is Chelsea owner Roman Abramovich worth a massive £7.29 billion. The Sunday Times Rich List includes not just Britons, but also individuals who either reside in, or have strong ties to, Britain. 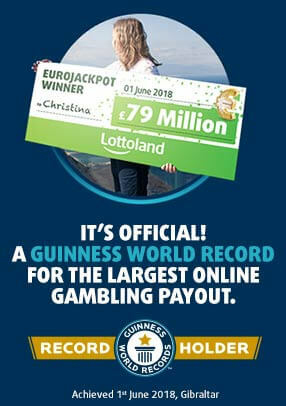 Hence the reason we also have the likes of George Clooney appearing on the list (at number 790). Of all the 117 billionaires on the list 55 are foreign and 62 are British. So in ratio terms Britain is still holding its own. Joining the ranks of British billionaires such as Sir Richard Branson we also have new additions to the billionaires club with electronics mogul and Apprentice star Lord Sugar now worth £1.04 billion. Sugar's wealth is still not enough to get him into the top 100, however, so he must "settle" for being the 101st richest man in Britain. In Blackadder II the character of Queen Elizabeth the First would always get her way with the rhetorical reminder, "who's Queen"? Though obviously such crass behaviour is hardly in keeping with Queen Elizabeth II's regal deportment, the reigning monarch could, conceivably, also do this if she so wished to ensure she's always put on top of the list. After all who could refuse her? When the Sunday Times Rich List was first published all the way back in 1989 the Queen was the only person who could top it. Since then, however, the rules have changed a little separating the personal wealth of the Queen from that of the Crown itself. But let's be frank, it's still the Queen. And in terms or tangible assets the oligarchs don't come close. First of all, she doesn't have to worry about the taxman. On the contrary, the taxman has to worry about her, since she's the boss. And any billionaires who want to set up shop in London have to abide by her tax laws – or else! After all its her money – why do you think her face is on all of it? Second, how do you put a price on crown jewels? Or the Royal Collection – priceless to the point where a billion Russian oligarch billionaires couldn't even pool their money to buy a fraction of it. Queen Elizabeth II is Britain's longest living – and is on course to become the longest-serving – monarch in history. In September of this year she will inherit that honour from Queen Victoria. While the Queen's riches are, in fact, immeasurable she's also due to get her most precious treasure of all – a new Royal baby, her great grandchild, who is due to be born any day now. 201 steps up on the list from the Queen we have Alan Sugar, who owes his very title orf Lord, and by virtue of that fact, his allegiance, to the Queen. On paper he's richer – a lot richer – but then how come he always looks so grumpy? The Queen, on the other hand, may not have the same personal wealth on paper but she's sure to top the list on the happiness scale – especially after the new Royal baby arrives. 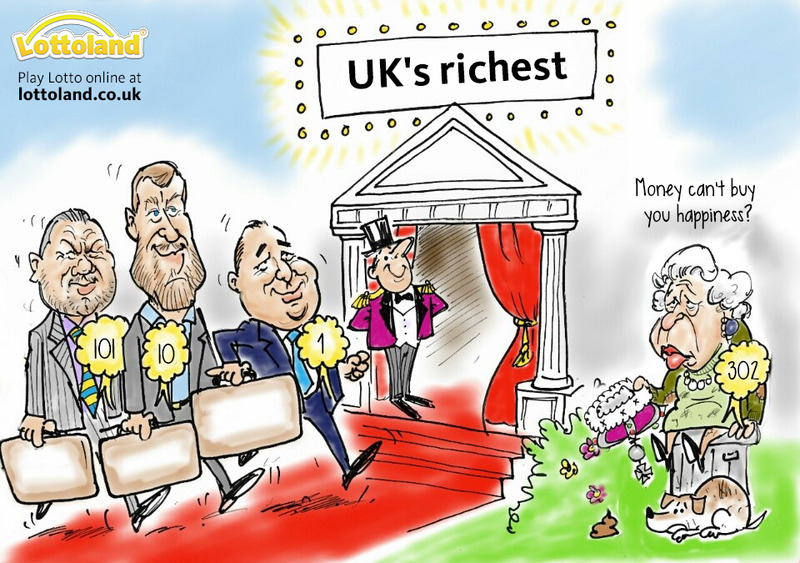 So, how do you join the rich list and become one of Britain's richest? All you need to do is have £100 million or more to become one the top 1000 richest people in Britain. Unfortunately, short of being born with blue blood, building or inheriting a vast business empire or discovering rich oil reserves in your back garden, there aren't that many ways to do so. A top lottery jackpot win could do that easily enough, as was the case with Colin and Chris Weir (£161,653,000), Adrian and Gillian Bayford (£148,656,000) and Dave and Angela Dawes: £101,203,600.